Wintertime can be very harsh on your skin and it’s usually the time of year you’re looking to make a great impression on close family and friends. So that means being aware of what can harm your skin in the winter. For that, we have our very own Dr. Aziza Wahby to answer some common questions and give tips for winter skin care. There’s really nobody else you’d want preparing you for the harsh battle that is winter against your own skin. Dr. Wahby is board certified dermatologist. She enjoys providing the full range of general medical, pediatric, surgical and cosmetic dermatologic services to the Northeast Ohio community in private practice. Her passion lies in utilizing the most current dermatologic advances to create individualized therapies for common skin conditions. Dryness, cracking, acne, and more is what can happen if you let winter get the better of your skin. Here are some common winter skin care questions you’ll want answers to. 1. How does the winter affect your skin? During winter, the air is drier and colder. This combination is known to have harsh effects on the outer layer of your skin. Since there’s less humidity, more moisture is sucked from your skin, which is what makes it feel dry. And dry skin can lead to flakiness, fine lines, fissuring of the skin and even acne. Ultimately, your skin will be drier and therefore, isn’t able to function at its best. 2. What are some common winter skin problems? The biggest problem with winter skin care is dry skin. Other common winter skin care concerns include chapped skin, cracking, dandruff, dry cuticles, and more. 3. What is the best face cream/moisturizer for dry skin in the winter? The best moisturizer for you will depend on your skin type and current condition. Ultimately, we recommend patients check with their dermatologist for a regimen that works best for them. However, it’s usually a safe bet to increase the moisturizer you’re already using or to step up your moisturizing game altogether. If you’re someone who uses a normal face lotion, opt for a face cream instead for extra moisture. And on the other side, if you typically don’t use moisturizer, try a lighter lotion. 4. What are some winter skin tips for people with oily skin? Oily skin can be a blessing and a curse. In the winter, it can be a blessing to an extent. We recommend hydrating cleansers that are gentle and fragrance-free for the winter months. 5. What are the best winter skin care products? Everyone’s skin is unique and that means different products will be the best for different people. “Here at Apex we use SkinMedica and ZO medical-grade products and recommend you check with your specific dermatologist to determine which products are right for you during winter,” says Dr. Wahby. Although showers feel like heaven during these cold winter months, they could be the cause of your winter skin care issues. In order to combat some of these shower problems, limit time in the shower to less than 10 min and avoid fragranced personal care products. We all have to wash our hands and during the winter, we typically do so more in order to avoid succumbing to colds and the flu. To avoid the dryness, use gentle soaps (again, fragrance-free) and be sure to moisturize after handwashing. Another major winter skin care problem is dry, cracked, and chapped lips. If you want to keep your lips plump and happy, make sure you’re moisturizing regularly and avoid licking your lips – it makes them worse. Sunscreen and skin checks are important all year! 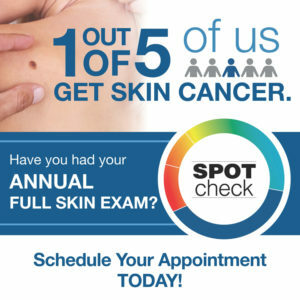 Summer isn’t the only time of year to make it in to see your dermatologist. “Many people come to the dermatologist for skin checks in the fall, after spending time outdoors all summer. It is important to check your skin every month throughout the year, no matter how many layers you are wearing daily. Learning what’s important for winter skin care is much easier by reading what Dr. Aziza Wahby has to say. Make sure to book an appointment with us to ensure your skin stays healthy this winter! Dr. Wahby was born in Brooklyn, NY but spent her formative years in Fort Dodge, IA. Throughout high school, she attended both St. Edmonds and The Preucil School of Music, where she studied the violin, music theory and piano. She has performed widely within the United States and abroad, including appearances at Carnegie Hall. Her love of classical music brought her to the Cleveland Institute of Music, where she earned both bachelor’s and master’s degrees in violin performance. Dr. Wahby furthered her education at Columbia University in New York City, completing a Bachelor of Arts degree in psychology and pre-medical sciences. She studied medicine at Touro College of Osteopathic Medicine in New York, where she received the Dean’s Award for maintaining the highest academic standing in her class throughout four years of medical education.